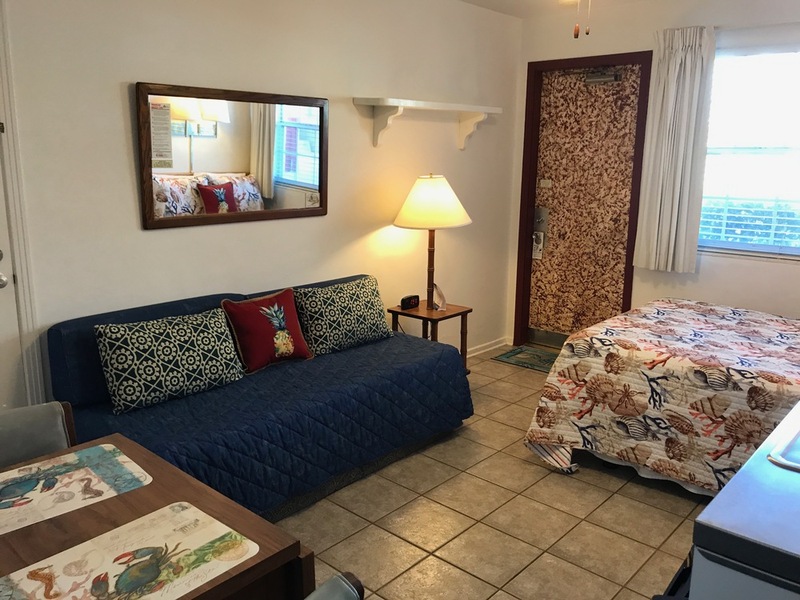 OceanFront Studios with Beautiful Ocean/Pool Views, Charming Cottages, Super Comfortable 1 Bedroom Oceanview Suites, Adorable Studios, and Very Economical Value Rooms Available for All Family Sizes and Travel Budgets. Place Your Reservation Online Now. 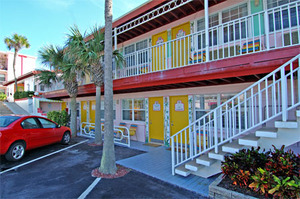 Or, call us at 866-420-9882 for friendly, personal assistance in placing your reservation. We can't wait to Welcome You to the Tropical Manor This Summer! Studio #8 - Very Economical, Cozy Studio. 1st Floor. Parking view. Small but Cute Efficiency Studio. Super AFFORDABLE choice for a solo traveler or a couple. Full kitchen with small dining area. Small Bathroom with very small tile shower (no tub). Parking/street view. 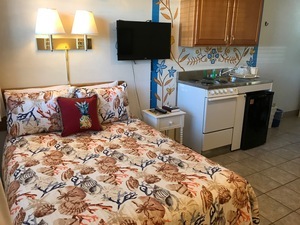 "my husband and i came in may love the place very clean ,very nice great view. than my friend and me came back in Sept. had a great time!! will be back soon."